2015: Travels, Losses, and Celebrations! Things are starting to heat up around here! We officially began our fundraising for our Vision Trip two weeks ago. We have raised 35% as of today. We get so excited seeing God’s continued confirmation of our call to France. It is becoming more and more real that we are going on this trip with every donation received. Our church has asked us to share about our mission and Vision Trip this Sunday, and they will also take up a love offering for our trip. We are so amazed at the love of our church family and all the ways they express His Love. 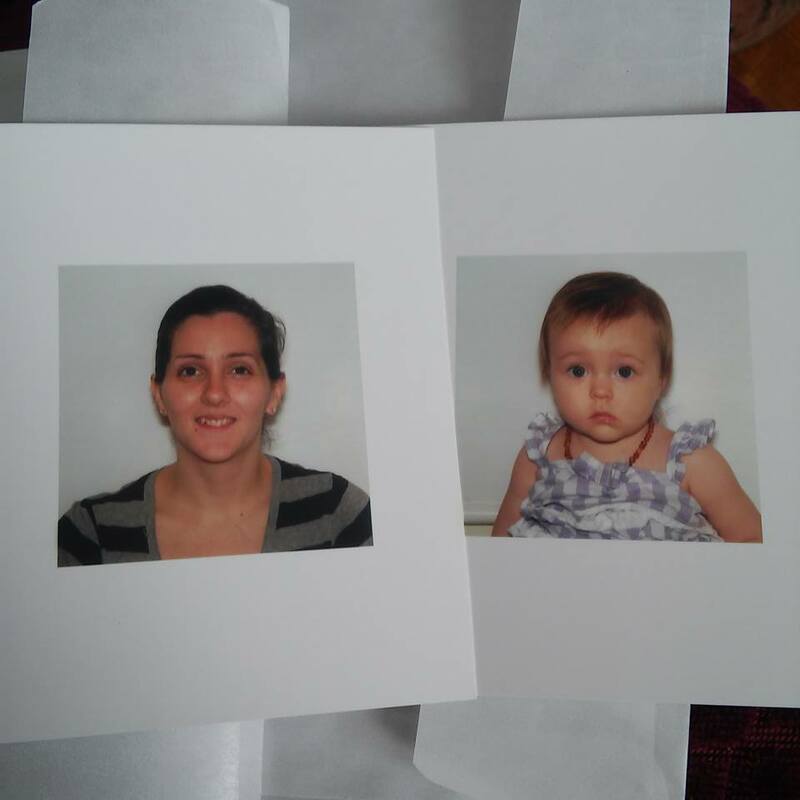 And this morning we had an appointment at the Post Office to renew my expired passport and get a passport for our girl Ellie. I was worried that she would be wiggly and squirmy for the picture. She did such a great job! She sat straight up on the stool by herself and looked directly at the camera. Her photo was great on the first try! (I’m one proud mama, if you couldn’t tell.) I keep thinking how lucky she is to have a passport before the age of 1. I received my first passport when I was 17, and many Americans never even leave the U.S. It is definitely my prayer for her that she will have a global heart for God’s global people. Joe and I have recently started doing French lessons through Duolingo online. This way we can learn French in small nuggets everyday. It doesn’t require a lot of time; just a little bit every day (at least that’s the goal). We have also done from Pimsleur Speak and Understand French CDs that my great-aunt bought for us. I’ve also pulled out Ellie’s French language-learning cartoon DVDs and French songs for Children CD. But, unfortunately, our DVD player has recently bit the dust. However, we are working to incorporate more French into our life now. Two weeks ago I started working as a freelance Assistant Project Manager for an online web design and marketing company based in Canada. This is the first job I’ve had since I was laid off from Detroit Oxygen 2 years ago. I will be only working 10 hours per week to start, but my boss really likes my work and wants to increase my hours to 20/week in about 2 weeks. It is so great to be able to find a job that I can do well and still stay home and care for Ellie! Thank you, UpWork.com! Ellie just made 11 months old last Saturday! Ellie has 3 – almost 4 – teeth. We are hopeful to purchase our tickets to Paris in the coming weeks. Welcome to our new home on the web and our new blog spot. This will be the place for new updates on our mission and our family. Keep an eye out here as things develop!